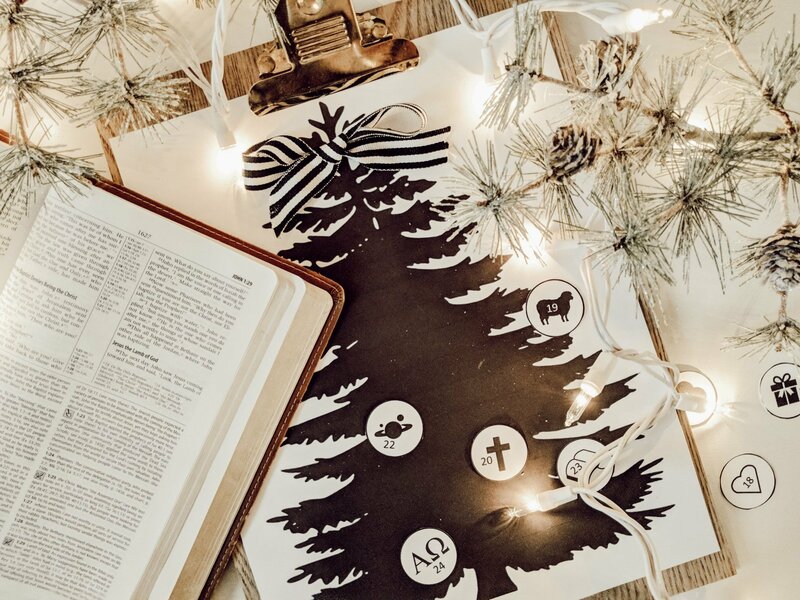 I’m joining a group of friends today to share some free Christmas printables! 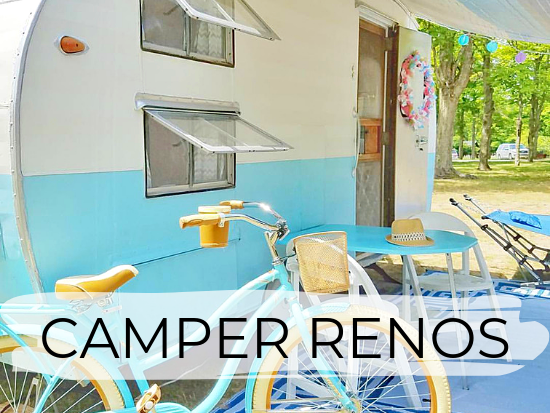 Be sure to read all the way to the bottom of this post for all their beautiful ideas! I absolutely love the Christmas season and I love seeing other families establish beautiful Advent traditions together! I have great memories from my childhood, of our family, gathered around a candle lit table and an open Bible. 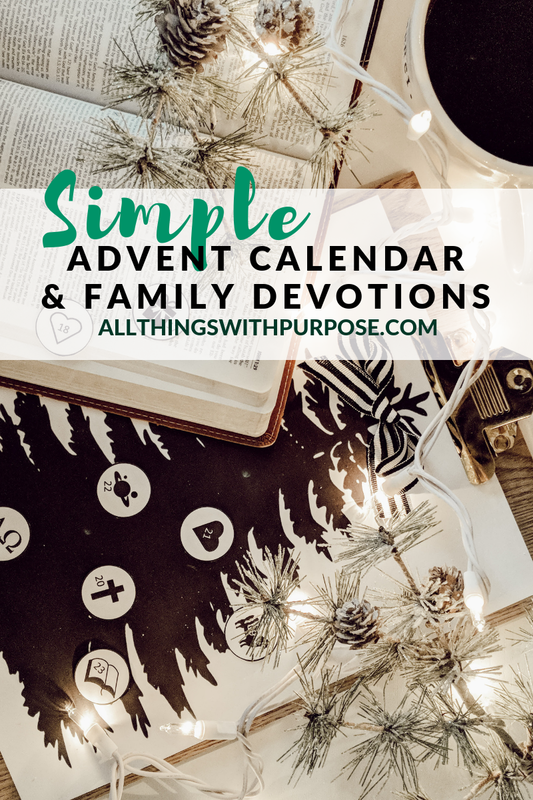 I have shared other Advent resources over the years. 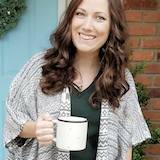 One of my favorites is a felt pattern and a PDF family devotional. 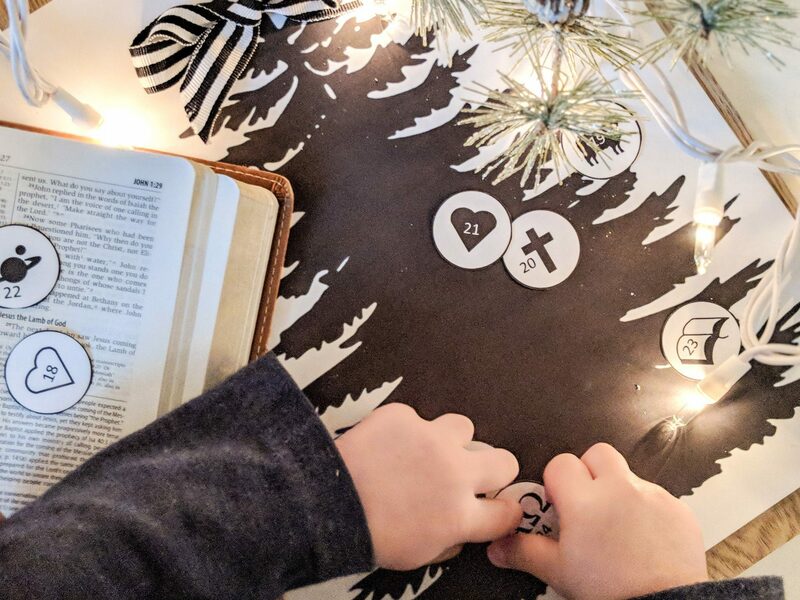 This Advent tree pattern and devotional was based on the one my family used when I was a child. I’ve been excited to hear from everyone who has made one over the years. While I still love the felt version (that was bright and colorful), I wanted to do some updating to the devotional and simplify the design of the calendar. 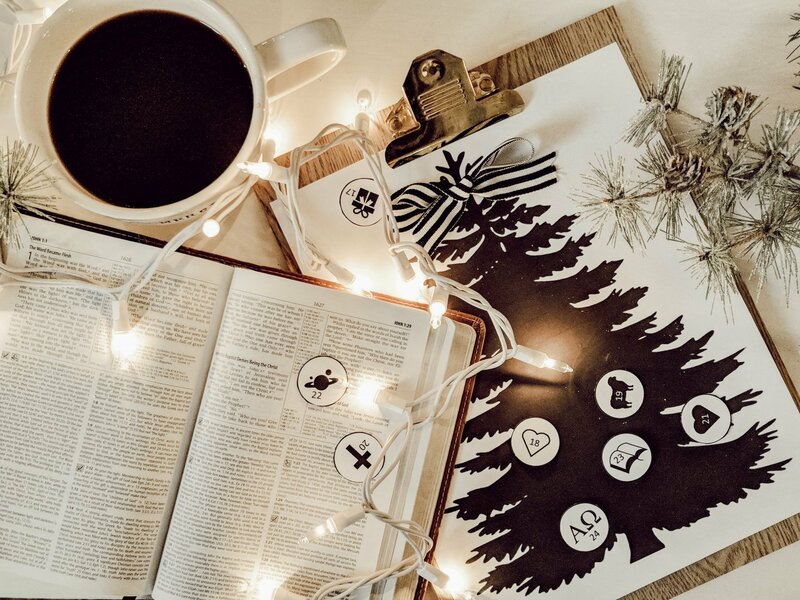 The pattern I created for my Advent Tree Calendar and Devotional has been very popular, but it’s a little time consuming to prepare! I wanted to update the devotional and also give the calendar a more modern look. I know it’s now a few days into the month of December, but it’s not too late to start! Print this out and start today! 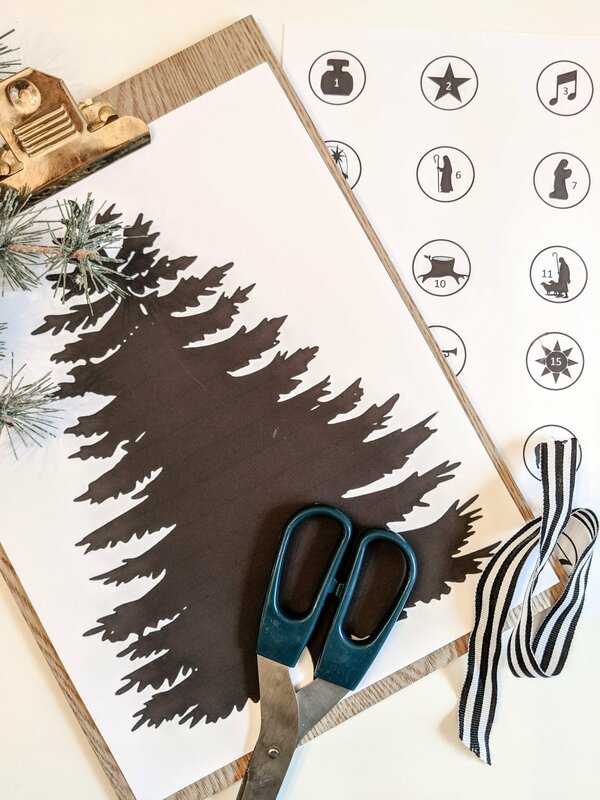 I printed my tree and ornaments on heavy card stock, but you could use paper too! Cut out the ornaments and keep them in an envelope or zip-locked bag. Download the file and pull it up on your phone or tablet. Find time each day as a family to reflect and share this special time together. You can work together to commit the verses to memory. You will be shocked how well your kids remember them, year after year! There are links included each day, to various music videos and cartoons that will help reinforce each theme. Glue or tape an ornament on your tree every day, the numbers will count down to Christmas! 1 John 4:9 This is how God showed his love among us; He sent his one and only Son into the world that we might live through him. If you’re looking for something a little more elaborate, you might want to check out my felt Advent tree. Otherwise, don’t wait, get started with this one today! This printable is available for free in my printables archive. Simply sign-up (or returning members may sign-in) below to access these and over 50 other free printables!! who are sharing free printables today! What a cute idea for an advent calendar! I love the modern take and the way it’s displayed! 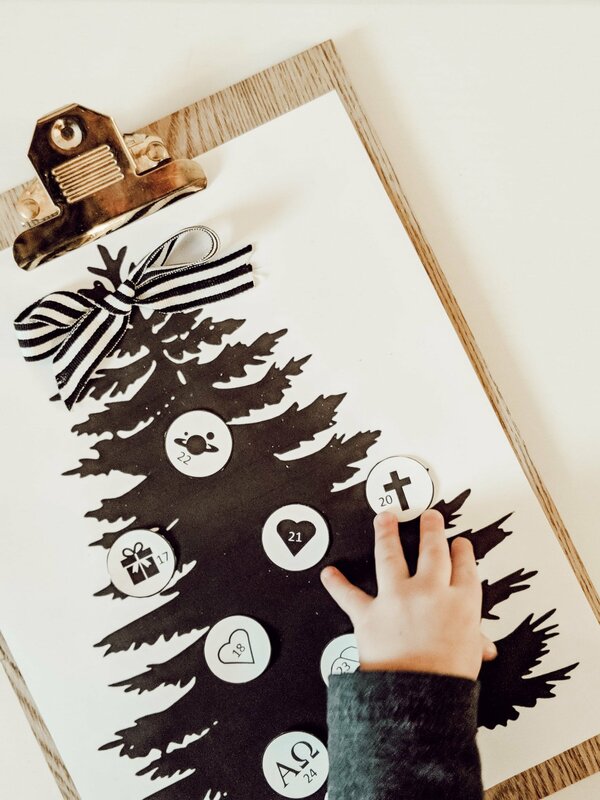 I love what you put together with this advent calendar.It’s a great way to help teach kids about the true meaning of the season. I can’t wait to give these printables a try. This year it will be my first year having an advent calendar! I love the simplicity of your Advent. My children will love to incorporate this into their families. 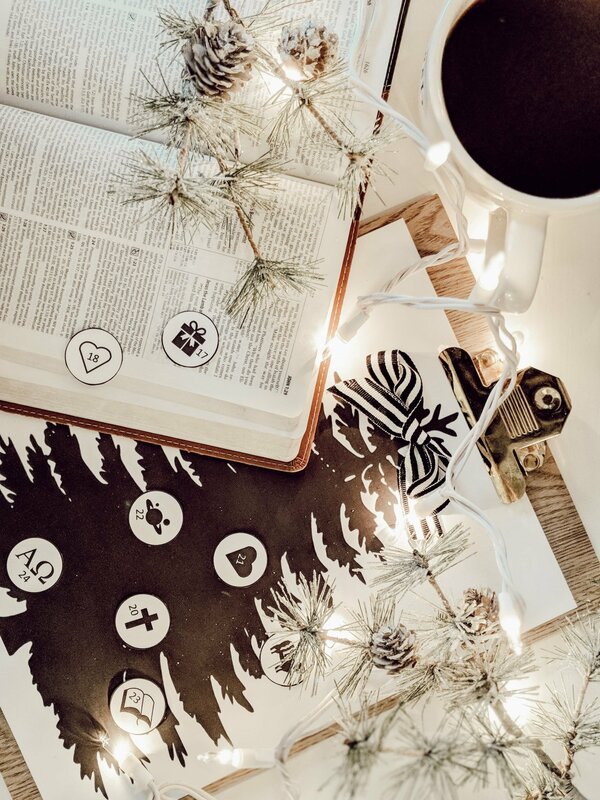 I am always looking for more advent ideas & I can’t wait to give these printables a try. Love the idea that this is something we can do as a a family . Thanks so much for sharing them Sarah! This is s pretty! Our advent is our families favorite tradition for Christmas.